This Lecture about International Trade Theory. It has shaped the economic policy of many nations for the past 50 years. It was the driver behind the formation of the World Trade Organization and regional trade blocks such as the European Union and North American Free Trade Agreement. Trade is the concept of exchanging goods and services between two people or entities. 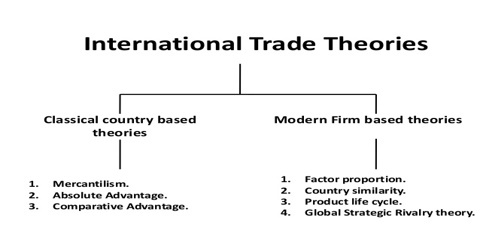 International trade is then the concept of this exchange between people or entities in two different countries.